A tropical island destination without leaving the United States. No passport required. Six Islands Six Experiences. Nearly twice the size of the others combined. Hawaii’s island of adventure. Massive black lava fields hint at the island’s relative youth. Polynesian legend claims the goddess Pele gave volcanic birth to the islands of Aloha. “The Magic Isle” where whale-filled seas meet heavenly beaches. A place where the sun warms tropical trade winds that will blow your troubles away. Snorkel in crystal clear waters or play golf on world-class courses of green velvet perfection. Hawaii’s Island of Discovery and oldest island. Green tropical forests, cascading waterfalls, golden sand beaches, and the time of your life. The heart of Hawaii where Aloha begins, home to Honolulu and Waikiki.Cosmopolitan conveniences are surrounded by breathtaking scenery. Hawaiian by Nature. Roads are few and generally empty, the island clings to tradition. An island for those who want to experience something besides fancy shops and big resorts. 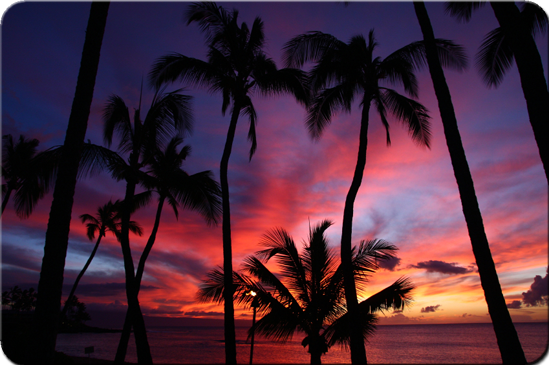 Hawaii’s Most Enticing Island, if your idea of an island getaway includes ultra luxury and secluded privacy.